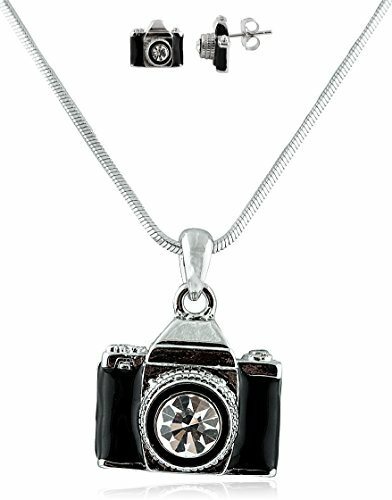 This is a great quality camera pendant necklace and pair of earrings jewelry set combo. This is fashion jewelry designed to last! This price is for one pendant necklace and one pair of earrings. This pendant measures 0.46 inches from left to right and 0.70 inches from top to bottom. These stud earrings measure 0.43 inches from left to right and 0.40 inches from top to bottom.